Click here for the upcoming next step! 6 Steps towards your purpose! 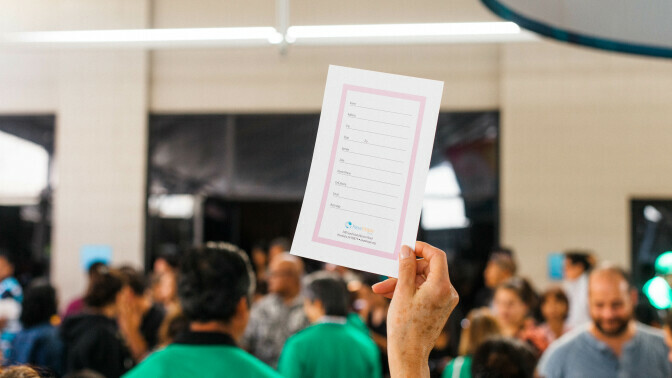 Become a member of New Hope Oahu! Water Baptism is a public declaration of our identification with Jesus; His death, burial, and resurrection. By being water baptized you are publicly saying that you have died to yourself and have decided to follow Jesus Christ. Saying "Yes!" is very simple and, at the same time, is very profound. As Pastor Wayne Cordeiro often says, it is the most eternal decision you will ever make. Saying "Yes!" starts with a person's desire to know God in a personal way. The Bible says that we can be in God's family, adopted as His sons and daughters; like any parent, He wants to be a part of your life. Once you know your heart is turning to God and you want that relationship to be strong, saying Yes! is as simple as making that declaration. The Bible says it this way - "If you confess with your mouth and believe in your heart that Jesus Christ is Lord, you will be saved." Very simple. Saying Yes! means you acknowledge that you have fallen short of righteousness and God's example of holiness; we call that sin. Then, you believe and confess (say) that Jesus paid for all sins by His death on the cross, and you want His payment to be applied to your life. You have repented (changed your mind, turned and started going back toward God), confessed and believed. That's all it takes to become a child of God, a part of God's family. It is the beginning of a lifelong journey to become more like God, to love Him fully and to live the life you were created to have. Water Baptism is a public declaration of our identification with Jesus; His death, burial and resurrection. By being water baptized you are publicly saying that you have died to yourself and have decided to follow Jesus Christ. There's an all-church potluck after, so even if you aren't getting baptized, please feel free to join us as we celebrate those getting baptized. Completion of this course is a priority for everyone who calls NHO their church home. The heart of a family and their values are so important to the vibrancy and function of that family. So it is with New Hope Oahu! 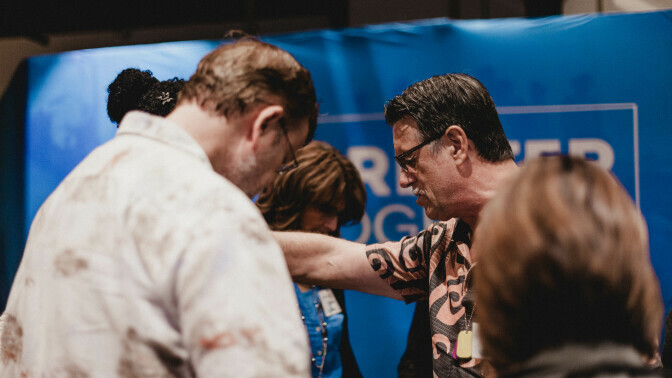 We feel it is critical that every person who God calls to be a part of our NHO `ohana, should know and understand the heart and values of our church. At Growing Deep Growing Strong, you will also learn valuable Biblical lessons to strengthen your relationship with Christ! The essence of Growing Deep, Growing Strong is where you’ll learn the “Five S’s”— Salvation, Spiritual Growth, Stewardship, Spiritual Gifts and Sending Forth — along with New Hope’s Core Values and Mission Statement. As we read God's words, we begin to see how God responds to things. Doing daily devotions re-patterns the way we think and transforms the spirit of the mind. Then, when we face similar situations as Jesus did, we begin to respond in the same way. Journaling is an excellent way to both record and process what God has spoken to us. It's also a useful tool to use at a later time to reflect on and review some of the "gems" that you have received. Without writing these down, you may forget those blessings and some very important lessons! While journaling is a very personal time with the Lord, you may want to share some of your daily devotions with your small group or mentors. Through discussion, you may be able to look deeper into what God is speaking to you, gain new insights and even encourage others. Open your Bible to the reading found under today's date of your Bible bookmark. Take time reading and allow God to speak to you. When you are done, look for a verse that particularly spoke to you that day, and write it in your journal. Personalize what you have read, by asking yourself how it applies to your life right now. Perhaps it is instruction, encouragement, revelation of a new promise or corrections for a particular area of your life. Write how this Scripture can apply to you today. This can be as simple as asking God to help you use this Scripture, or it may be a greater insight on what He may be revealing to you. Remember, prayer is a two-way conversation, so be sure to listen to what God has to say! Now, write it out. 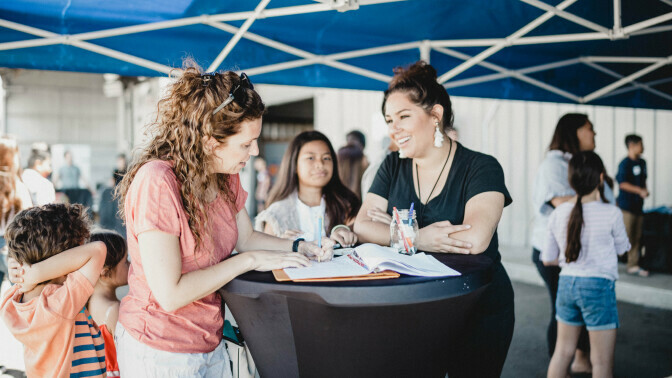 This purpose echoes New Hope Core Value #4 In Keeping with the Great Commandment, we believe every member should commit to a lifestyle of consistent spiritual growth with honest accountability. What Small Groups does New Hope Oahu offer? 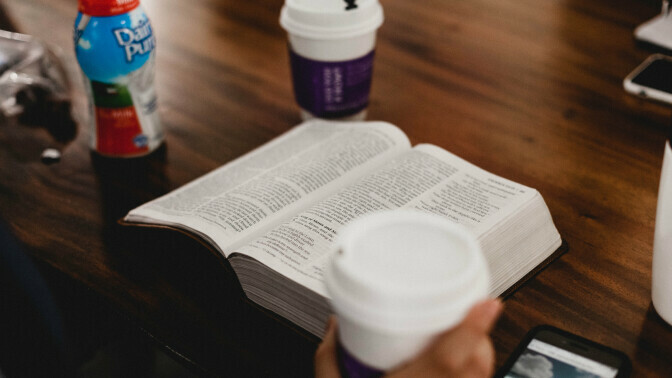 2 – 10 people who meet to read the Bible together, write their Journals and share their devotions with the group. Groups of 3 – 20 people who meet generally in a home but also meet at places outside the home. These groups have prayer, fellowship and Bible Study. They may use resources like DVD teachings or Spiritual Growth type books. Our Rebuilders Groups falls under this banner. Rebuilders groups are our “recovery focused” groups. These groups include sports groups, hobby groups – any group that has a common affinity and passion. We ask these groups to include prayer, sharing devotions because 80 plus percent of their time is focused on their affinity. LifeChange is a 12-week seminar designed to bring freedom, healing, wholeness, and spiritual maturity into the life of believers. Through teachings, small group discussions, drama, worship and prayer. Participants will have the opportunity to address issues that may be keeping them from fulfilling God’s best for their life. The entire seminar and retreat is saturated in prayer as we seek God to bring the transformation he desires for us.